Seems like its appropriate to bring this one out of the vault since the upcoming election in November is so top of mind. 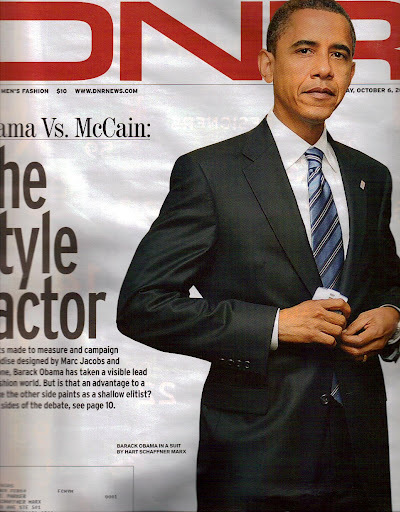 President Obama looked great here in his Hart Schaffner Marx suit made for him at the factory in Chicago. Even more interesting was the company had a long history of wardrobing politicians from both sides of the aisle for many decades. Humphrey, Johnson and even Eisenhower had all worn Hart Schaffner Marx suits along with soliders in both World Wars. Truly an American brand.